SpaceX has done it again. For the third time in a row, the Falcon 9 rocket has delivered its payload in the upper atmosphere and returned to earth with a successful vertical propulsion landing on the drone ship Of Course I Still Love You. 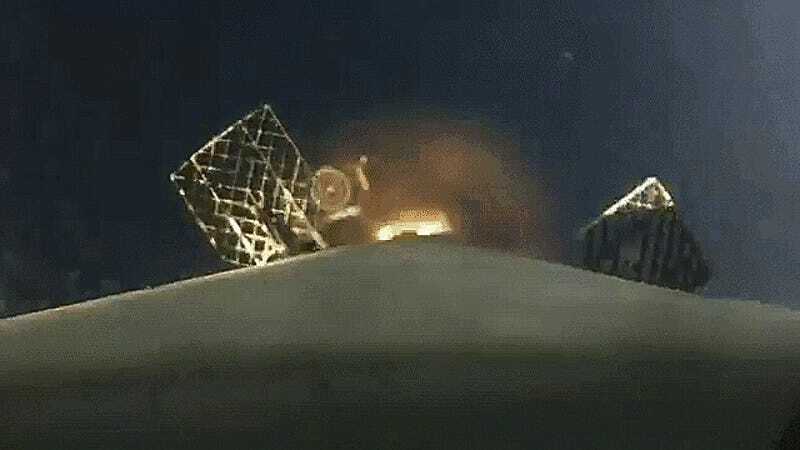 This time SpaceX released the best angle yet of the landing—from the rocket itself all the way from space. As Gizmodo explained on Thursday (when the launch was originally scheduled), this rocket landing on the drone ship was going to be a little more complicated than the previous two successful attempts. But the rocket landed on target and managed to stick its landing. Check out a sped-up time-lapse from a camera on-board the Falcon 9 rocket itself as it falls from the upper atmosphere back to earth, letting you get a brief glimpse of the Of Course I Still Love You, one of two semi-autonomous drone ships SpaceX uses for rocket landings, before making its third-consecutive landing. Living in the future is amazing. Do it again! Do it again!